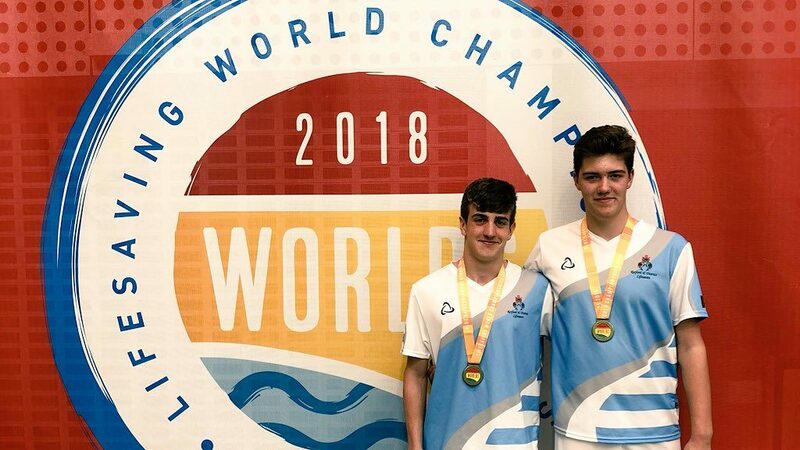 This year, Retford’s largest team of lifesavers set off from the UK on the 19th November for the International Lifesaving World Championships 2018, hosted in Adelaide, Australia. 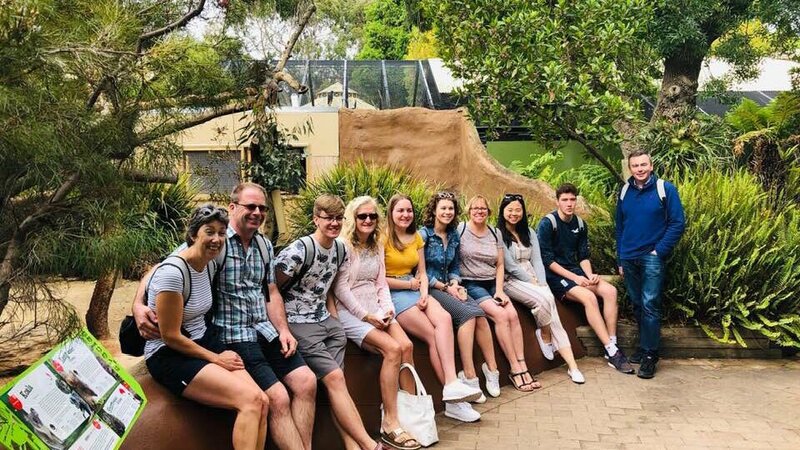 The team consisted of two Masters, Theresa Tomlinson, Karen Atkin-Moore; four Open, Pete Moyes, Charlie Newton, Toby Sanderson, Georgina Tomlinson; and six Youth, Jess Newton, Ruth Moore, Ben Tomlinson, Jacob Screeton, Sam Templeton and Jordan Ferguson. They were also joined by family who provided fantastic support. Theresa and Karen were there to greet the rest of the team, after their earlier departure, for the Masters competition, in which they won bronze medals in the 12.5m Line Throw with a time of 17.63 seconds! 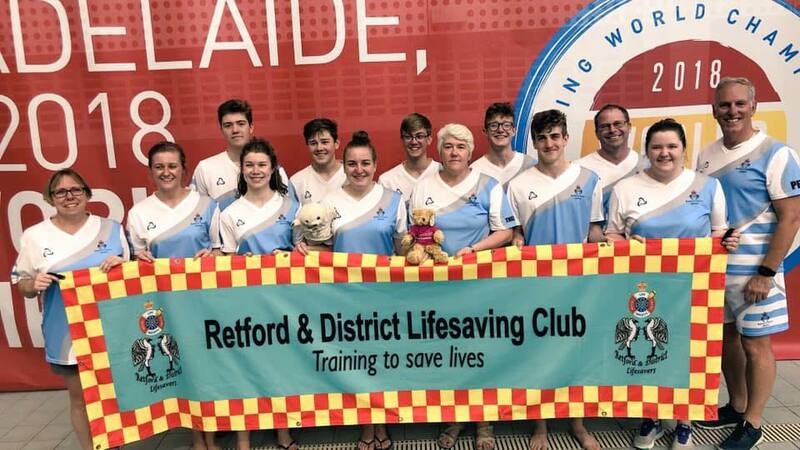 The team were also joined by Hannah Calverley, a former club member, who recently moved over to Australia to study a PhD in Drowning Prevention and Water Safety, a passion which stemmed from her previous membership with the Retford Lifesavers and partnerships with the RLSS UK. The first week of the trip consisted of watching the National Teams perform, activity days and final preparation training. The team were very lucky to be able to to train at the Unley Swimming Centre in their outdoor 50m pool. They also visited Glenelg Beach, which was the hosting beach for the ocean events. Upon arrival, the area was hit with a storm, which temporarily disrupted the flow of events at the beach, but with the help from the organisers and locals, the competition was able to get back up and running, as the weather eased. Monday brought a very nerve-wracking day for the competitors, as it was the day of the SERC (Simulated Emergency Response Competition). This years’ team, consisted of Jess Newton, as captain, alongside Ruth Moore, Ben Tomlinson and Jordan Ferguson. They used their tailored skills and training, in partnership with a lot of hard work and preparation to perform the rescue needed when faced with their given scenario. Their superb efforts placed them in first position and thirty five points ahead of the succeeding team, placing them in first place in the straight final and earning them all gold medals! Ruth, Jordan, Jess and Ben with their Gold medals for the SERC! Shortly after their medal ceremony, preparation of the Open SERC began and a request for casualties was sent around all the teams. Five members of the Retford team volunteered themselves and were each assigned very specific roles. The Retford Open team was made up of Theresa Tomlinson, as captain; Toby Sanderson; Hannah Calverley and Georgina Tomlinson. 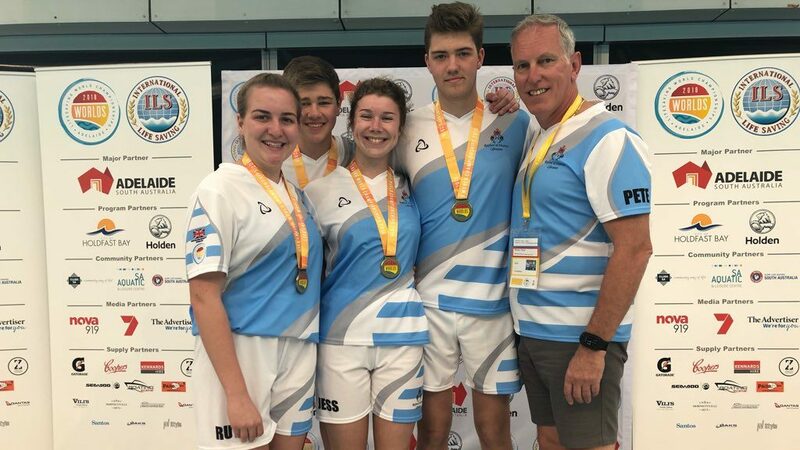 Regardless of their limited time to practice as a team – with Hannah being the other side of the world – they made it into the final after the initial heats, with 49 teams and placed 9th overall. A day definitely worthy of celebration! The Tuesday brought the first day of the Youth Ocean events. The day kicked off with a 2K Run for Ruth, Sam and Jacob; it was a tough event and on very soft sand – conditions they are not used to training in. They all did exceptionally well, a prime example of their grit and determination. The next event for the Youth, was the Rescue Tube Rescue, another tough event where the Retford boys showed immense determination and finished in a good time. They then went on to compete in the Beach Relay where they qualified for the B Final. Meanwhile, over at the pool, Toby, Hannah and Georgina were competing in the obstacles and the line throw. They were also joined by Pete and Charlie in the line throw, who broke the British National record, for their age category, with their time of 12.94 seconds in the initial heats! Charlie, Georgina, Hannah and Pete were the Open Line Throw teams. The 2x1K Beach Run Relay, on the Wednesday, was ran by Jacob, Sam, Ben and Jordan, followed by the Surf Race, completed by Jacob and Sam in the afternoons’ very rough conditions – a magnificent achievement. 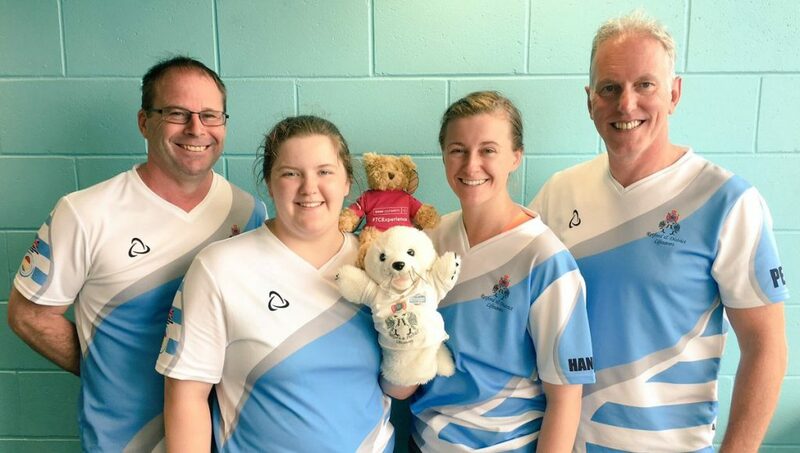 Over at the pool, Toby, Hannah and Georgina were competing in their second day of pool events, including the 50m Manikin Carry and the 100m Manikin Tow with Fins (where Georgina earned herself a two-second PB!). The 100m Rescue Medley followed in the afternoon. On Thursday, the whole team went to the pool to support Toby, in his 100m Manikin Carry with Fins and his 200m Super Lifesaver. The Youth began their pool events, on the Friday, and they were lucky to have the whole Open team there to support them. Ruth, Sam and Jordan started the day off with an exceptional 200m Obstacles, followed by the Female Line Throw for Ruth and Jess. They finished in first place during their heats with a time of 13.26 seconds, securing them both with a place in the final and also the new British National Record for the Female Youth 12.5m Line Throw! Their performance was matched by Ben and Sam in the male Line Throw, who also secured themselves a place in the final, alongside another national record for their age group with a time of 10.81 seconds! They then went on to produce a time of 11.20 seconds, earning each of them gold medals! The boys then finished off the successful day with and amazing 4x50m Obstacle Relay! National Record holders Sam and Ben with their Gold Medals! Saturday brought the second day of pool events for the Youth, including 50m Manikin Carry for Jess, Ruth, Sam and Jordan, who each gained new PB’s in a pool with a 3m depth. The 100m Manikin Tow with Fins followed later, for Jess, Ruth Jacob and Ben, as well as the 100m Rescue Medley for Sam and Jordan. In the afternoon, the boys completed the 4x25m Manikin Relay and Jess and Ruth joined Ben and Jordan for the Mixed Pool Lifesaver Relay. The final day of competition and Retford’s Youth events, included the 100m Manikin Carry with Fins and 200m Super Lifesaver for Jess, Ruth, Ben and Jacob. The events concluded with the boys’ Medley Relay, where they qualified for the B Final and secured themselves an excellent 12th place overall. Sunday night was a night for celebration for the whole team as the competition drew to a close, ready for departure on the Monday. The worlds team would like to say a huge thank you for all the support they have received both during the competition and their years of training leading up to the competition. Pete Moyes, club chair and coach, deserves an enormous amount of thanks for his organisation of this adventure, on top of his constant dedication and support. Retford’s sponsors also helped to fund to trip, alongside all the money raised from the success of the Retford Lifesavers’ ‘Aussie Night’, in July. The courage of the competitors, as well as their dedication and hard work, made this trip a success and they are hoping to compete again in 2020 for the next World Championships, in Italy. The preparation has already begun! We spotted a koala during our trip to Adelaide Zoo! Interested in getting involved? The Retford Lifesavers are always excited to welcome new club members so if you are interested or know someone who is, please don’t hesitate to contact Retford Lifesavers online, or pop down to Retford Leisure Centre on a Saturday morning between 9:00 and 10:30am. The club offers their Rookie Programme, for those aged between eight and twelve, which is the perfect introduction to basic lifesaving skills, as well as their Survive and Save Programme, which is ideal for those a little bit older. Or if you are a keen swimmer and would like to get involved with their competitive squad, please get in touch and they will be more than happy to introduce you! Words by Jessica Newton. Please get in touch for any press or media enquiries, we will be very happy to help!